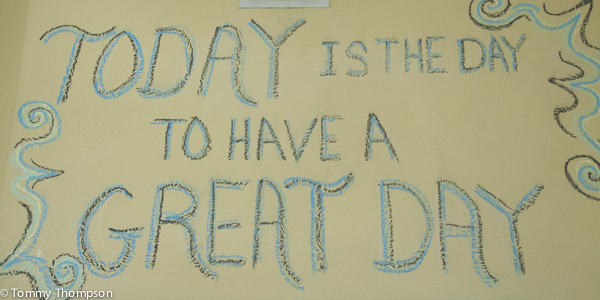 Great Southern Biscuit Company, Mayo, FL–Stop In Soon! There’s a really good “meat-and-three” in Mayo, Florida. You’ll get some great “down home southern cookin'”, including fried chicken, at the Mayo Cafe on the western edge of town, on US27. 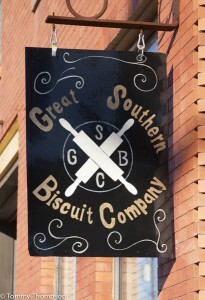 However, if you want something a bit more “hip”, stop by the Great Southern Biscuit Company, next to the Lafayette County courthouse, on you next trip through this old Florida town. Here, Bart Byrd bakes up some serious “cat head” biscuits, and also prepares some nice specialty breakfasts, lunches and dinners. 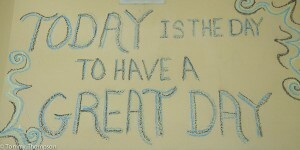 You’ll find lasagna, soups, cakes and especially great specialty coffees on the menu, too. And of course–lots of biscuit options! 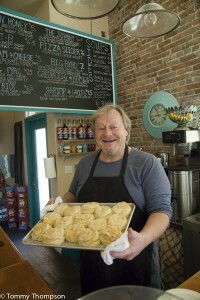 Bart Byrd with some of his fine biscuits! For some interesting reviews, take a look at Great Southern’s YELP page!